Tesco is reportedly considering selling off or shutting down video-streaming service Blinkbox, as the embattled retailer seeks to cut costs and focus on its core business. Tesco acquired Blinkbox three years ago, and went on to buy music service We7 and e-book service Mobcast. Eventually, the three were folded together to create an all-encompassing entertainment service. 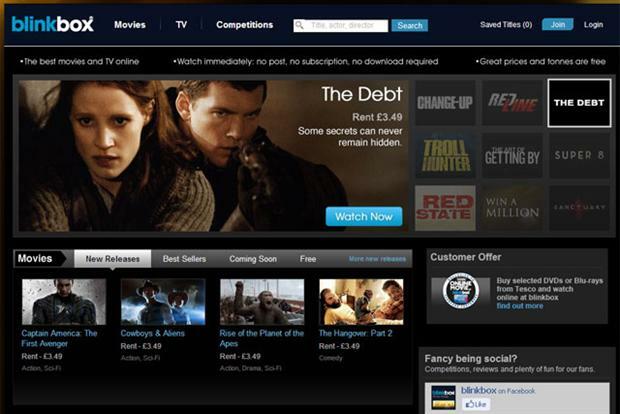 However, Blinkbox faced intense competition from dedicated services such as Netflix, Spotify and Amazon-owned LoveFilm. According to numerous reports, it is now thought new Tesco boss Dave Lewis is conducting a strategic review of the business, with an eye to seeking a buyer for Blinkbox. An alternative would be to shut the business down, as investors pressure Lewis to shed "non-core" activities. According to The Guardian, Blinkbox co-founder Michael Comish is expected to stay on at Tesco in the guise of group digital director. The retailer is still expected to launch the Hudl 2, the follow-up to its Hudl tablet, this week. Tesco and Blinkbox have not responded to a request for comment. Lewis, who arrived last month at Tesco's from Unilever, has had his hands full dealing with the supermarket's numerous crises. The retailer is under a full investigation from the Financial Conduct Authority after admitting it may have over-estimated its half-year profits by £250m. The admission resulted in Lewis suspending four executives and Tesco's share price plummeting. He also faces a challenge to boost Tesco's market share and shore up its spending, as the supermarket struggles against rivals Morrisons, Sainsbury's and Asda.